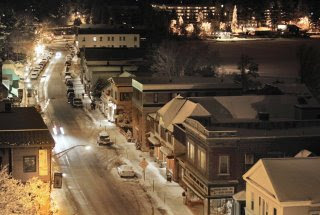 Lake Placid has been cited as one of the prettiest towns in America in a recent edition of Forbes Traveler, an online travel magazine owned by the Forbes Corporation. I don't want to say I told you so, and I know it is entirely possible not everyone agrees with my taste, but there you go. I'll admit to being an eye-candy junkie though; each one of the twenty towns on the list is gorgeous and is on my personal bucket list.